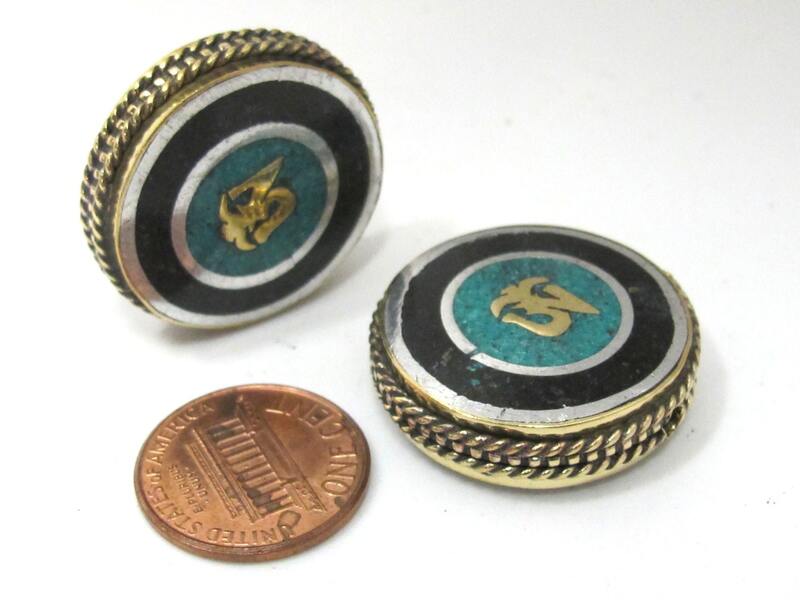 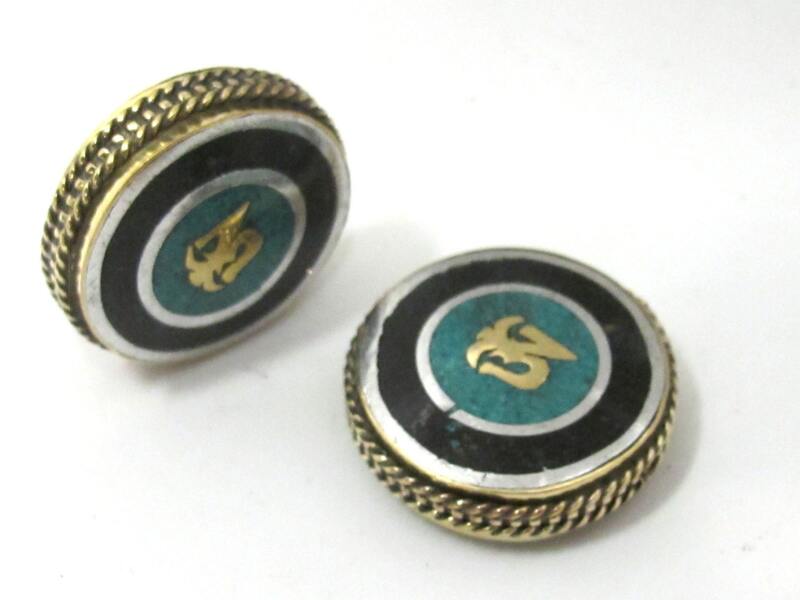 This is a listing for 1 Brass bead with turquoise inlay. 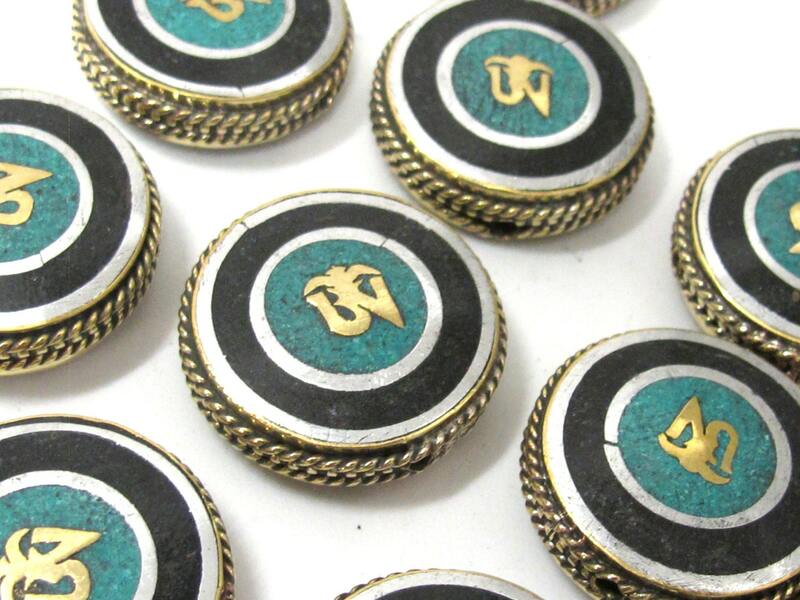 Handmade in Kathmandu, Nepal . 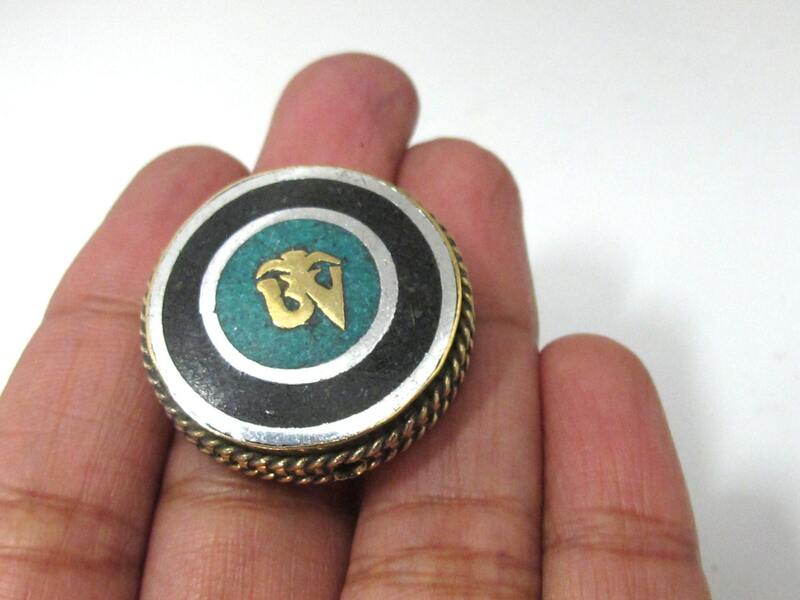 Tibetan Om inscribed on both sides of the bead. 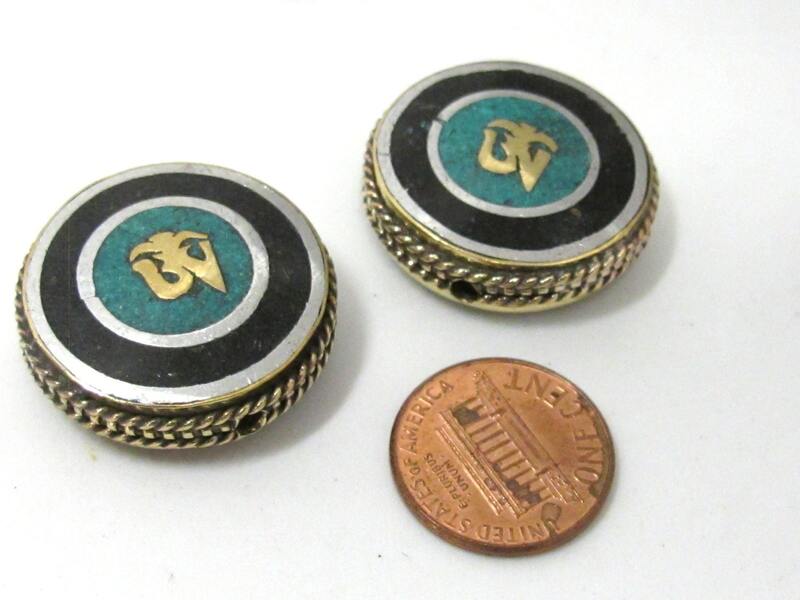 Please note that these are handmade hence each bead may vary slightly from the other.